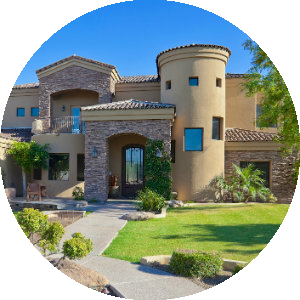 Find the newest Arcadia homes for sale & real estate listings in Phoenix AZ below! 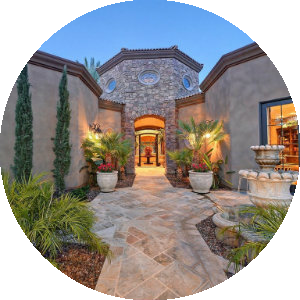 Arcadia is highly sought-after neighborhood in Phoenix, AZ. Depending on who you talk to, the boundaries for Arcadia are Camelback Mountain South to Thomas Road, and 44th St East to 64th Street. 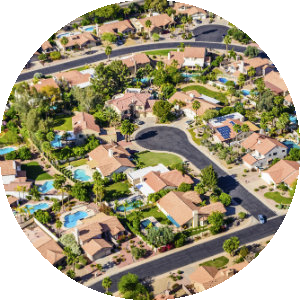 For information about Arcadia properties for sale or to schedule a showing, contact your Phoenix Arizona real estate experts today. Award -winning Scottsdale Unified School District, with 19 schools graded as "Excelling" by the Arizona Department of Education. Location. Arcadia is a short 5 minute drive to Downtown Scottsdale, home of some of the highest-rated restaurants and night-life in the Metro Phoenix area. Arcadia is also a short 10-15 minute drive to Downtown Phoenix and Phoenix Sky Harbor Airport. No "cookie-cutter" tract homes. Arcadia is known for it's character and charm. Small-town feel with easy access to all of the amenities of a big city. Outdoor Activities. Arcadia sits at the base of Camelback Mountain, which offers some of the best hiking in the Valley. Shopping. Located just 5 minutes from Scottsdale Fashion Square and the Biltmore, offering some of the best shopping and entertainment in Phoenix. A former citrus farm, Arcadia offers irrigated lots, which not only means lower water bills, but creates yards with tall trees, green grass, and lower temperatures (5-8 degrees on average). A true "oasis in the desert"! Recently voted one of the "Best Places To Live" by Money Magazine. Upscale Resorts. The Phoenician sits in the heart of Arcadia, and the Biltmore is just a 5 minute drive. Two city parks. Arcadia and Herberger park are popular destinations for homeowners in the Arcadia area. Arizona Country Club. One of the oldest and most sought-after private country clubs in the Valley. Arcadia is comprised of two elementary schools (Hopi & Tavan) for grades K-5, one middle school (Ingleside) for grades 6-8, and one high school (Arcadia). All of the schools fall within the Scottsdale Unified School District, which happens to be Arizona's Most Excelling School District, with 19 schools achieving the State's highest rating, Excelling. All Scottsdale schools are rated as Performing, Performing Plus, Highly Performing or Excelling by the Arizona Department of Education.